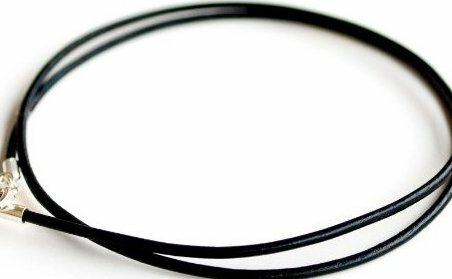 Genuine, fine Greek leather necklace cord, handmade in the USA. Gift packaged in valour bag. 2 mm cord, select length. Sterling silver, lobster-claw clasp. Lifetime warranty, product replacement guarantee.